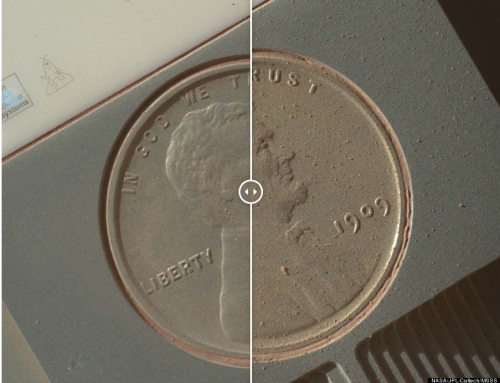 Could We Really Live on Mars? We want to move and explore in a very similar manner that we've done in the past, so that we can live off the land to make all these missions very cost-effective and more efficient," Prasun Desai, acting director of the Strategic Integration and Analysis Office in NASA's Space Technology Mission Directorate, said on Aug. 6. 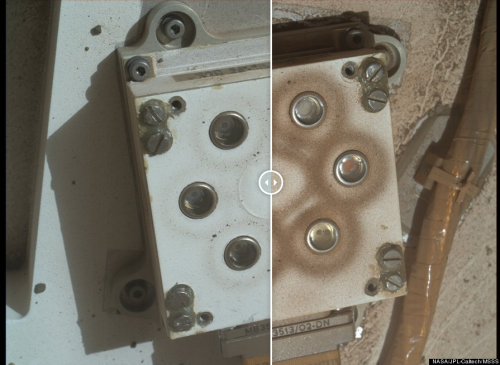 What's That Thing on the Martian Rock? Sadly, it's not a lost civilization, just a rock after eons of being beaten by the wind. Is This What Mars Used to Look Like? "I think the short story is the atmosphere went away and the oceans froze but are still there, locked up in subsurface ice," said Chris McKay, an astrobiologist and Mars expert at NASA's Ames Research Center. In September a new spacecraft known as Maven, the Mars Atmosphere and Volatile Evolution mission, swung into orbit around the planet. Its job is to get a longer answer to one part of the mysterious Martian climate change, namely where the planet's atmosphere went. Curiosity Finds Evidence That Mars Was Once Habitable! This does NOT mean that anything ever actually lived there. But it is the first time that the ingredients for the evolution of microbial life, and the correct conditions to support it, have been directly observed beyond Earth. Mars still has water frozen at its poles, and once had quite a bit of water above and below the surface. Opportunity Has Driven 25 Miles on Mars Breaking the Rover Distance Record! The concept of an Interplanetary Internet first came into being in 1998, about a year after the quarter-century anniversary of the design of the Internet. At the time, a man named Vint Cerf was ruminating on the future of the Internet, and with good reason; Cerf co-developed the Internet protocol suite, a set of rules (commonly known as TCP/IP) that helps orchestrate the transfer of data throughout the network of devices we call the Internet.